Blog Home > Useful Tips > Start Preparing for Your College Interview Right Now! Start Preparing for Your College Interview Right Now! Now you know that in order to apply to a college, you need to showcase yourself. Usually, you do it with your application letter. However, some colleges, which are often smaller, offer an extra opportunity to impress the admission committee. That’s an interview we are talking about. While it’s too early for actual interviews yet, you should be thinking about the ways to nail them already, especially if you have a certain college in mind that you would really like to join. So, let’s see what you should know about college interviews. 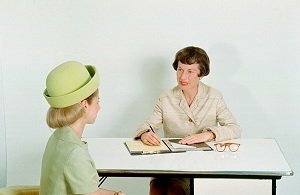 First of all, a college interview is like a job interview. You get to know the institution, and its representatives get to know you. After you have sent your resume or a personal statement (or both) and they have chosen you for the following stage of the selection process, you get an interview appointment. It is usually conducted in a form of a brief conversation (up to 30 minutes), during which you can tell about yourself and your strengths, persuade your collocutor that you are a worthy candidate, and also ask any questions you have in mind. Your tasks are: to form a positive first impression, to demonstrate your motivation, and to show that you’re a good fit for the college of your choice. Let’s get to the specifics. Tips on what you should do during your college interview are pretty much the same as those for getting a job. The difference is, you might have never applied for a job yet. Here is your chance to practice! All people with rare exceptions judge the book by its cover — so make sure your cover is perfect! Don’t wear too casual clothes, such as running shoes and shorts. Anything too short, too bright, or too sporty might be not your best choice. Don’t be overly official too. Something quite presentable, but comfortable should do. Make a research about the college and write down the questions you’d want to ask. Rehearse your speech, maybe in front of your friends or family. Try to think about the questions you might be asked by an interviewer, and prepare your answers to them. What’s also important, calculate the time you’ll need to get to the place, in order to be there on time. During the interview, tell about your strengths and the ways in which you overcome challenges. It would be great to draw some examples. You can talk about your curricular and extracurricular interests to position yourself as a proactive student who is motivated to enter the college. Don’t let the interviewer do the talking for you. This interview is your chance to shine and impress — so go ahead! Don’t stay quiet for too long; this will make a bad impression of you and your social skills. On the other hand, don’t brag about yourself too much. Instead, try to concentrate on how you can be integrated in the community (college community in particular). This includes not being late for an interview, not wearing improper outfit, watching your language, and so on. You know what politeness means, right? In general, having college interviews is fun. It is even more fun when you act confidently (often, while being nervous, which is natural), and when the interview results in your acceptance to the college of your choice. So, don’t put it off, start researching the college and preparing for your interview right away.